Playing at Front Range set me up for a successful life. It was the first and last club I played for growing up and I wouldn’t trade my experience there for anything in the world. They transformed me from an unathletic 11-year-old into a Divison 1 record-breaking athlete. Along with the amazing physical and mental training I received for the game of volleyball, I also learned valuable lessons in time management, teamwork and perseverance that carried over to the other facets of my life. It is so important to learn these lessons early on because it really sets you up well for the bigger milestones later on in life. I attribute my successful volleyball and academic career to the many years I dedicated at Front Range. These days, I am still actively pursuing a professional volleyball career after finishing a great career at Northeastern University. I will also graduate with my Doctorate in Physical Therapy this May. “From our perspective, the difference between playing at Front Range vs any other club is like having the chance to study at an Ivy League school or going to a community college. In both places you will get a degree, but her chances of achieving her full potential as an athlete and as a person are much greater at Front Range. 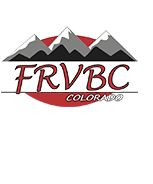 Front Range is a leader in best practice for player development on and off the court. Read more from our Club Director Jim Miret’s published articles in AVCA magazine.